Hi Friends! I hope everyone had a nice weekend! Ours was pretty low key, but it was great nonetheless. A good balance of fun, relaxation and getting things done. Did you girls do anything exciting? 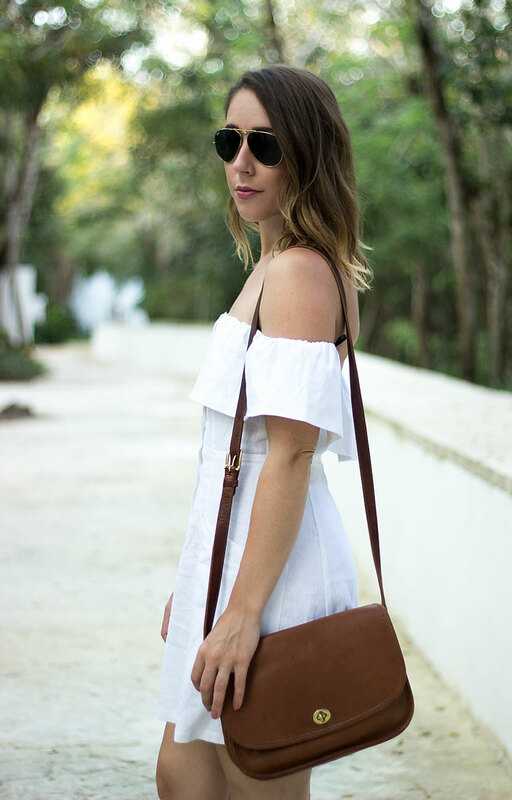 So I had my eye on this dress for a long while mostly because it was a more affordable lookalike of the Reformation dress that I wanted oh-so badly last summer, but I also knew it would be perfect for a day spent in Cozumel, so I decided to just go for it. It’s the perfect casual spring/summer dress and being from F21, you can’t beat the price (less than $30). I know I’ll definitely be getting some use out of it this summer when the temps are too high for any more clothing. Plus it’s off-the-shoulder and let’s be real, right now I am a sucker for anything off-the-shoulder. This dress looks darling on you, Shannon! So perfect for a warm weather vaca, indeed. So glad to hear you had a great weekends…sounds like it was the perfect balance of rest, fun & productivity:) Loved that doggie shot, BTW! Beautiful photos here as always, my friend! This dress is gorgeous on you! Love the off-the-shoulder! Oh so pretty! I love the buttons down the front, and the price is ridic! I never managed to score stunning pieces like this dress from F21 but then again, I never had to patience to rummage through the mess in F21 Malaysia. You look so lovely, Shannon…I'm going to stalk online for something similar. this dress was made for you!!!!!!! you look like an angel!!!!!!!! What a cute dress and I love the shoes you paired with it! I love the shape of this dress! It looks great on you! Love the button detailing on the front of this dress! 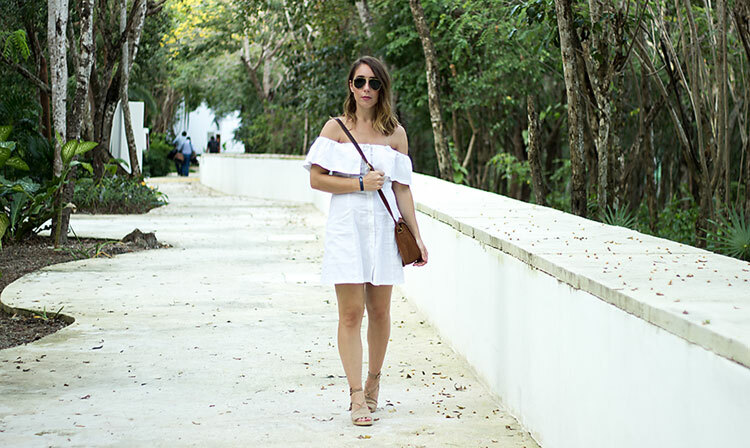 Nothing beats a white off the shoulder for spring & summer. I pretty much love off-shoulder anything. This is so cute and white is such a good color for warmer weather! 1. I've been searching high and low for a dress like this. It's darling! 2. That Coach bag is everything. Will you come over and style me? This is the cutest outfit, and I love those shoes! Wearing all white makes me nervous, but this looks beautiful on you! SO pretty Shannon! 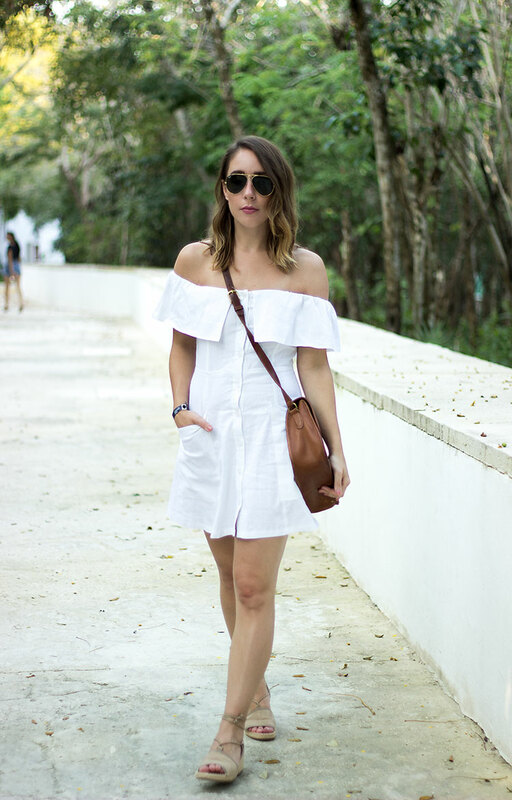 That's the perfect LWD! I'm totally obsessed with off-the-shoulder too! Cute find and such a great deal! 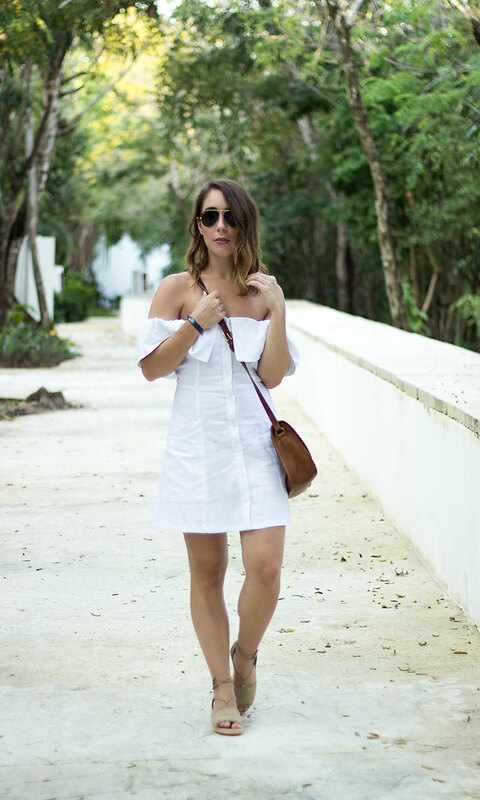 What a perfect vacation dress! I'm loving your off the shoulder pieces this season! I love that this is a slightly different take on the off shoulder dresses we're seeing right now. And that button front detail is rad! 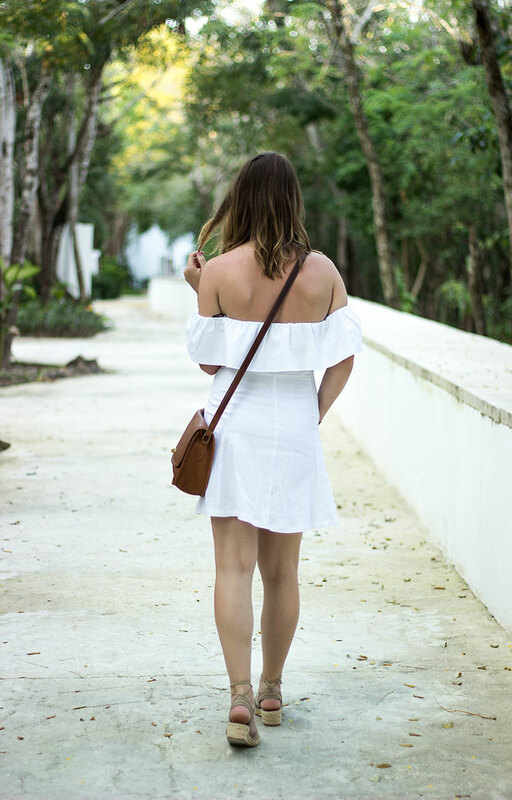 This is such a cute white dress, it just reminds me of vacation!